Limited supply of Elem. yearbooks get yours before they're gone! Order your 7-12 Yearbook and Senior Ad now! 7:00 PM - 8:50 PM Gr 7-12 Spring Concert @ 7 p.m.
At the most recent Board of Education meeting, three give back days were approved. Per contract, one is given back during the final week of school and one is given back on the Friday prior to Memorial Day. This year an additional give-back day was approved for Monday, April 22. If an emergency situation arises (i.e. late snow storm, building-wide plumbing issues), then school would be scheduled during the day prior to Memorial Day first, then during the give back day slated for the last week of school. The Board approved a 2019-20 budget to go to voters on May 21st. Budget development began in November and much of our work this year was guided by the question, "What do students need that we can't adequately provide"? While every student must meet proficiency standards defined by New York State in order to graduate, no student will be successful if their most basic needs aren't being met. Our students need to be fed and well rested, and they need to feel safe. Once basic needs are met, students must be provided with instruction at their level, and given support when they struggle. Importantly, instruction should include academics, social skills, character traits... much more than basic literacy or graduation requirements. To compound the issue, the struggles are as unique as the students, so time, creativity, resources, and resolve are needed if we are to be successful. The 2019-20 budget is our best effort to meet those needs. Heuvelton Central School moved toward greater inclusion for our students with disabilities this past year, as Special Education teachers began to provide services in the General Education setting. 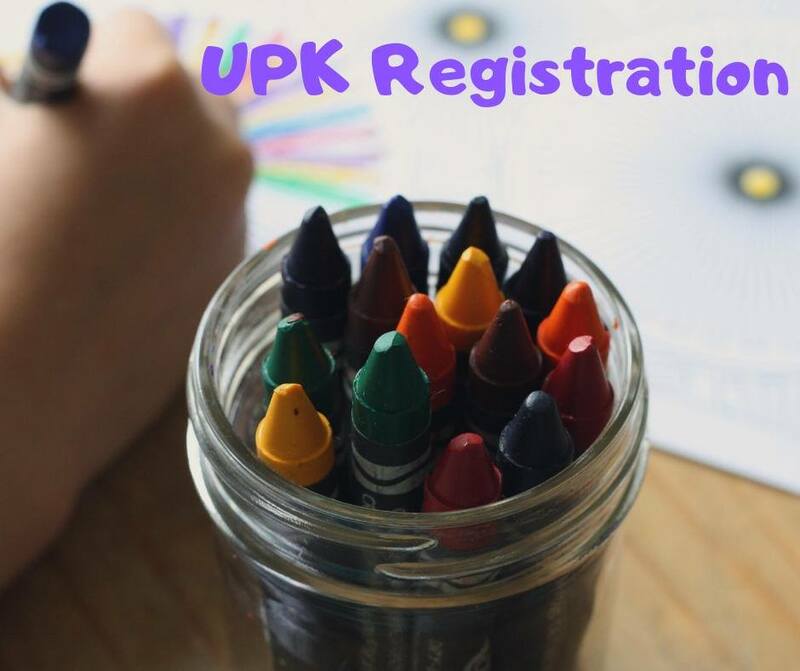 A recent increase in special needs students requires additional staff to remain compliant with NYS regulations so one additional Elementary Special Education teacher will be added. Other positions being added include one secretary and a Director of Student Services. 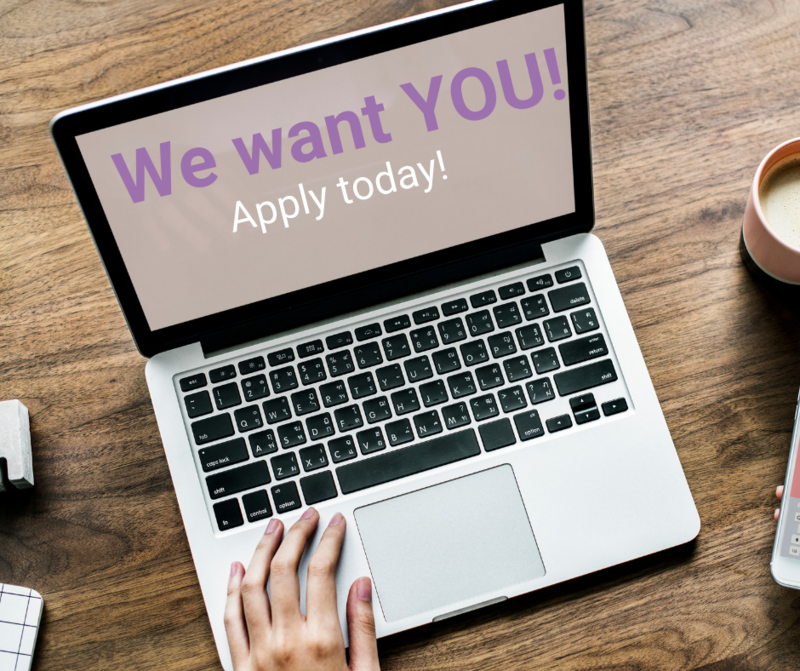 The Director position combines CSE/CPSE chair responsibilities, oversight of all Special Education and Counseling programs and staff, and coordination of wraparound student services (i.e. outreach, home visits, collaboration with outside agencies). The CSE/CPSE chair and secretarial positions are both re-establishing positions that were reduced in past years. Also included in the budget is the creation of a four-week summer academic program for elementary students. Mrs. Jordan has expressed interest in the Director of Student Services position and I will be recommending to the Board of Education that she be appointed in this capacity. Mrs. Jordan is in education to support students in need, and that work is the crux of this position. Having K-12 experience as a principal and counselor, and having served as a BOCES Supervisor of Special Education programs, she is well prepared to fulfill the varied requirements of this position. Importantly, she knows the staff, students, and culture of the district, and her work will continue to be for our collective benefit. Due to this change in positions, the district is advertising for a 7-12 Building Principal. Heuvelton CSD, full-time, tenure-track Elementary Special Education Teacher position, starting August 20, 2019. Application deadline: April 8, 2019 or until filled. Application and information are available at http://www.heuvelton.k12.ny.us. For more information contact Tessa Herron, District Clerk, at 315-344-2414. Heuvelton CSD, anticipated full-time, tenure-track 7-12 Building Principal, starting July 1, 2019. Application deadline: April 22, 2019. Application and information are available at http://www.heuvelton.k12.ny.us. For more information contact Tessa Herron, District Clerk, at 315-344-2414. To apply for positions, please visit the Applications for Employment page. Heuvelton Central School is presently accepting applications for the Pre-K program for the 2019-2020 school year. There will be both an AM and PM session offered but space is limited to 18 students per session. Student placements will be mailed by June 14, 2019. Students must be residents of the Heuvelton Central School District and must be 4-years-old by December 1, 2019. Applications are available upon request at the District Office and must be returned no later than Friday, May 3, 2019. Please contact Tessa Herron, Elementary Secretary, at 344-2414 ext. 28891 or e-mail therron@heuvelton.k12.ny.us. Get plenty of sleep. A consistent bedtime routine helps ensure that a student is rested and has the stamina to do his/her best. Eat a good meal. Thinking is a work out, just like a practice or game. Be sure to fuel up with a healthy breakfast each morning. Exercise on a regular basis. Increased blood flow helps muscles, and your brain, perform at the highest level. Moderate exercise prior to testing helps ensure higher performance. Relax. 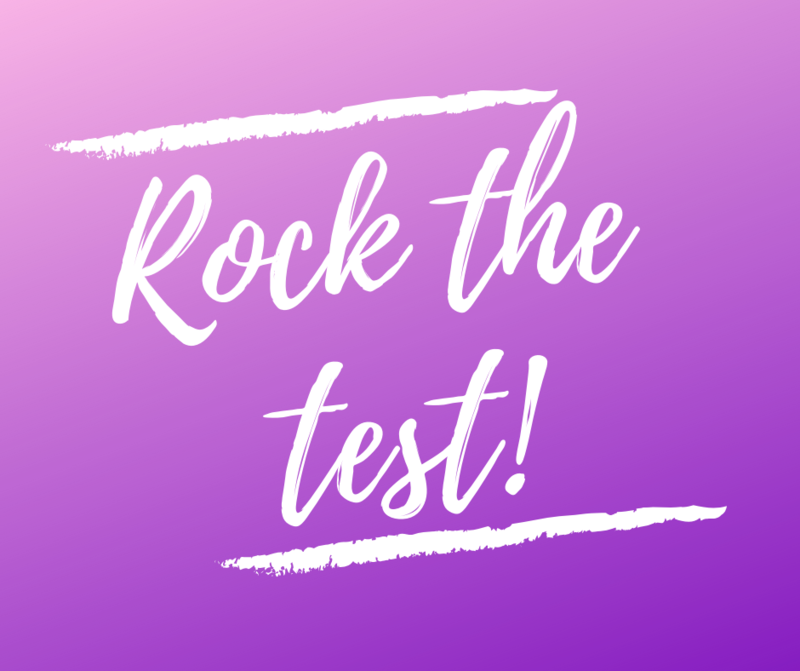 The tests do not determine if a student passes or fails, it is simply an opportunity to show what you know. In recognition of Forgiveness. Forgiveness means you forgive those who have done wrong. You accept that people make mistakes. Great job having forgiveness! 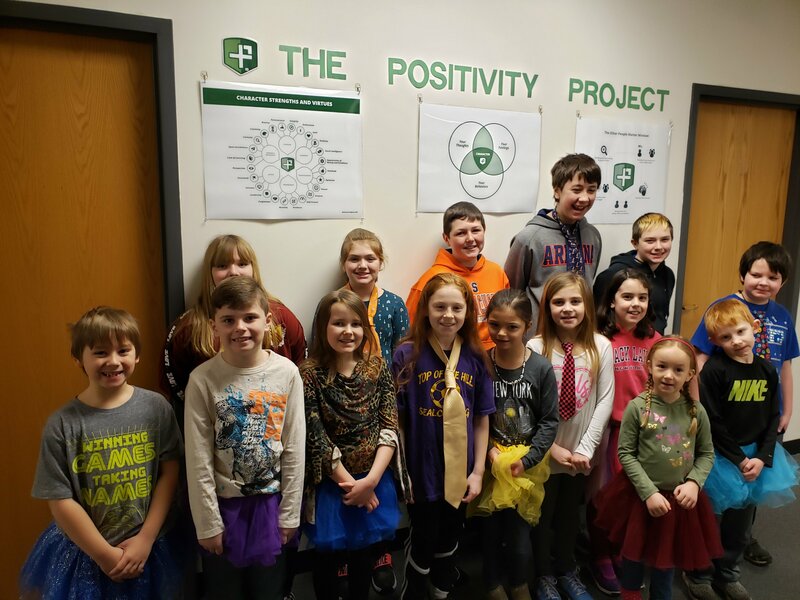 Pictured: Zachary England, Blane Abar, Savannah Zanker, Chelsea Richards, Kianna Pribble, Addison Chase, Addison Wagner, Sadie Mason, Charles Madill, Mack Durant, Hayden Bergeron, Philomena Bullock, Brady Eggleston, Leland Brown and Bradyn Dawson. On Friday March 15th the Heuvelton Music Department had a Day of Music Concert to celebrate Music in our School's Month. 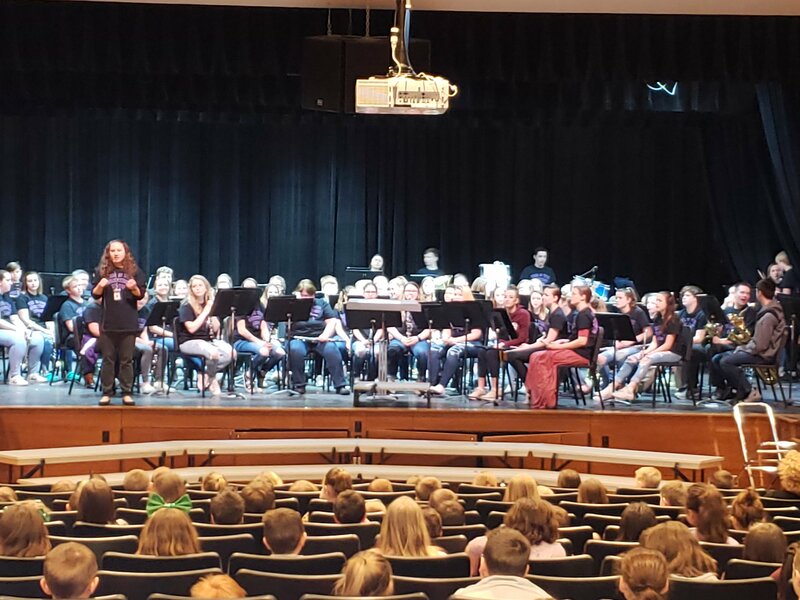 The 6th Grade band had the opportunity to play with the senior band as well as some alumni on two of their pieces: Dragon Slayer and Star Wars. Then the senior band and alumni combined with the 7/8 band to perform music from the new popular movie "The Greatest Showman." The bands performed for students in grade K-6 in hopes to inspire younger musicians. For Women's History Month, 7th and 8th grade students began their first Breakout Edu activity. They solved a series of puzzles about women's suffrage to unlock a final clue. 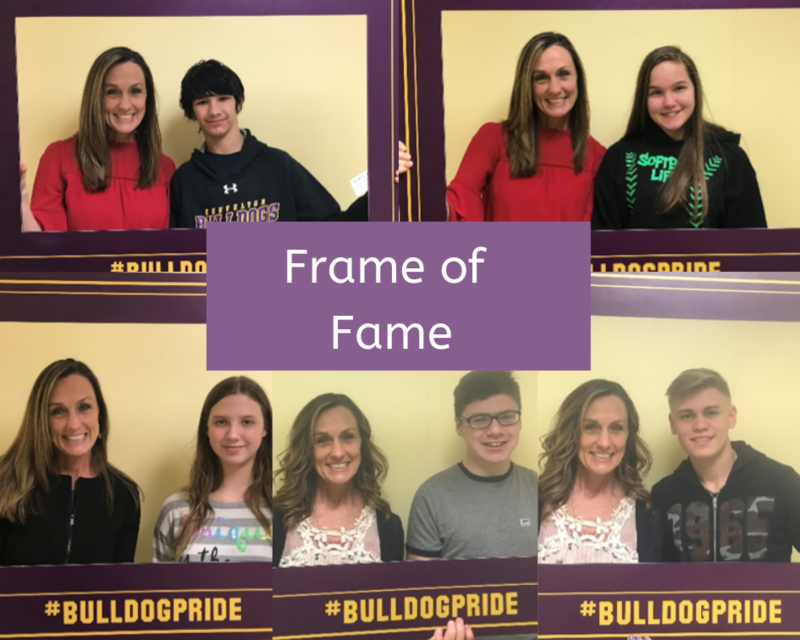 Congratulations to our frame of fame recipients! HCS seniors attended Gateway to Careers at SUNY Canton this week. We are so proud of how professional & prepared they all were. They worked hard on their resumes, communications skills, and practice interviews for the past four weeks. Their efforts paid off!